Going green is a BIG deal for Dallas. 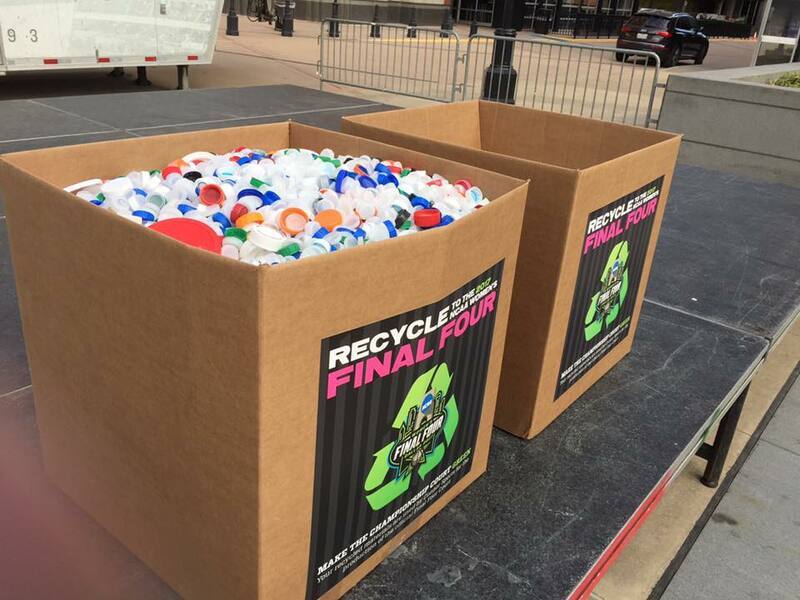 Here's how we participated in an environmentally friendly project for the NCAA® Women's Final Four®. This year, Dallas will host the NCAA Women's Final Four at the American Airlines Center. The National semifinals will be held on Friday, March 31, followed by the national championship game on Sunday, April 2. Preparations for the Final Four in Dallas are currently under way, which will include the installation of the game playing court. Connor Sports®, the Official Court of the NCAA, has manufactured the custom-built hardwood court using sustainable forestry practices. VisitDallas collected over 400 pounds of plastic bottle caps to help make this possible. The plastic was then sent to the Connor Sports' mill in Amasa, MI where a grinding process of the recycled plastic created small sections that are incorporated into the court sub-structure. Dallas prides itself in being a green city, and the creation of the custom Women's Final Four court proves it. Come see the floors for yourself and cheer on your favorite team, as well as enjoy fun activities throughout the weekend. Country music fans – enjoy music by superstar Jennifer Nettles, of Sugarland who will be performing Saturday, April 1. All-session game ticket purchases will include a FREE concert ticket to the show. Be sure to get your tickets today!